Whether you are selling or purchasing – I understand that transferring real estate represents one of the largest financial commitments that you will enter into during your lifetime. With more than thirty years of experienced on my clients' behalf, whether this is your first transaction or your twentieth, I can expertly handle and guide you through each nuance of your contract so that you can focus on other matters equally important to you. Starting in January of 2019 a new, thirteen page Multi-Board Residential Real Estate Sales Agreement will come into play. In my opinion the terms in the 7.0 version of this contract heavily favor the buyer and present several potential pitfalls that an unsuspecting seller can fall into. As such now more than ever before it makes sense to consult with an experience real estate transaction attorney as soon as possible. A graduate from the Drake University School of Law, Mr. Vacco's practice is concentrated in the areas of real estate and estate planning. As a member of the Will County and Illinois State Bar Associations, Mr. Vacco has been a guest speaker at numerous Continuing Legal Education Seminars where he has lectured on such topics as commercial leases, residential leases, real estate sales agreements, short sales, HUD regulations and ethics as well as recent case law. RESPA and Avoiding Mortgage Fraud: What Goes on the HUD Settlement Statement, Illinois Bar Journal, May 2009. Putting the Short into Short Sales, ISBA Real Property News Letter, October 2012. Surviving a Short Sale: Guidelines for a Rewarding Short Sale Experience, Probate and Property, Section of Real Property, Trust and Estate Law of the ABA (March/April 2013). NOTE: in March of 2013, Mr. Vacco received the "Excellence in Writing Award" from the American Bar Association's Probate and Property, Section of Real Property, Trust and Estate Law for this article. Kalkman vs. Nedved, IL App. 3rd (2013), As a practical matter, Kalkman v. Nedved means that the common law doctrine of caveat emptor is very much alive and well in the State of Illinois and as real estate transactional attorneys we need to remind our clients to treat EVERY transaction as an “AS-IS” sale. 1010 Lake Shore Association v. Deutsche Bank National Trust Company: The re-animation of an extinguished lien, ISBA Real Property News Letter, September 2014, vol. 60 no. 3. Trained and certified to arbitrate disputes, Mr. Vacco has served as both a panel member and chairperson, in numerous civil cases brought through the Will County Circuit Clerks office. And has served both as a panel member and chairperson for the Three Rivers Board of Realty Grievance Committee as well as the Professional Standards Committee. 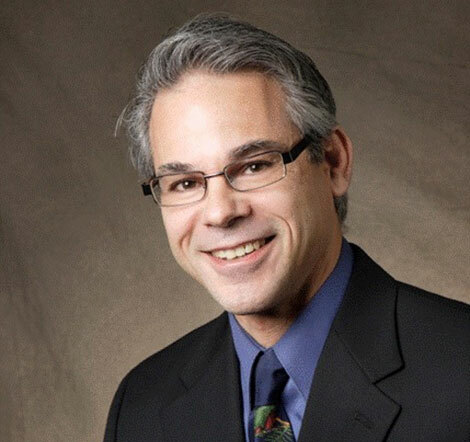 Mr. Vacco has also instructed pre-licensing and continuing education courses at the Joliet Junior College, the Three Rivers Board of Realty corporate offices and Coldwell Banker Realty in Joliet. It is not uncommon for a client to ask: “Do I really need an attorney to handle a real estate closing?” The simple answer to this question is no; anyone is free to purchase or sell real estate without legal representation. But then you need to ask yourself, who else is looking out for your interests? The role of a real estate attorney is not merely to review a “standard” real estate contract, or to instruct you on which document to sign. Rather the attorney’s value is derived from his/her ability to identify potential issues that tend to arise throughout the transactional process and then then use their acquired knowledge, skill and expertise to resolve them quickly and favorably. Only an experienced real estate attorney is uniquely qualified to perform this task. Here are ten other reasons to having an attorney represent you. #1. Buying a home is perhaps the largest single investment that you will make in your lifetime. With over thirty years of experience I know what to look for and how to advise you so that YOUR interests can be protected to the maximum extent possible. When was the last time your heard of someone "returning" a home that they weren't happy with after they completed the purchase? When you purchase a home, it is yours and with it any problems it has. While you may be able to sue for damages, that is a costly and time consuming option; in the meantime you need to address the defects and continue to make your mortgage payments. Your attorney may help you steer clear of such problems. #3. "It's only a form contract"
Realtors® are not qualified to practice law and in Illinois they are limited to filling in the blanks on bar approved contracts; but there are several such contracts to choose from and each imposes different obligations and requirements on the parties. As your attorney I can modify the contract your are using to see that it fits your particular circumstances. Buying a bank owned or foreclosed property can enable you to buy a bigger home on a smaller budget; but there are potential pitfalls that you need to be aware of. Banks will only sell properties "as-is;" while a bank may consider making a repair if you discover a hidden defect, they are under no obligation to do so. The bank will not provide a survey of the property. In fact many expenses that are customarily those of the seller; such as real estate transfer taxes, cost of de-winterize the property, etc. are passed onto the buyer. As the buyer of a REO you will need to commit moneys to the deal (i.e. inspection, de-winterizing funds, etc.) in order to protect yourself BEFORE you commit yourself to the purchase. A seasoned attorney can be an invaluable tool to you as you negotiate through the seemingly endless maze of bank paperwork. One of my jobs is to make sure that the seller fulfills the terms of the contract and transfers to you marketable title. This requires the careful review the title insurance commitment, survey and the seller's transfer documents. If your home purchase is contingent upon your ability to secure a loan, it is my responsibility to monitor the contingency dates and see that if you need an extension of time that it is properly obtained. While 90% of the work I do for you occurs PRIOR to closing, I attend the closing to go over the lender's documents with you to make sure that you are aware of your obligations and that the terms of the loan match those that your loan officer told you to expect. I also review the seller's documentation to insure that there are no errors that could cause a gap in the title or "encroachments" involving the property that can affect your ability to re-sell it. New construction is not without its pitfalls for the unweary consumer. Failure to meet dead lines, follow construction plans, substitution of materials are all issues that face new construction. Hiring competent legal counsel to guide you throughout the transaction is the best step you can take toward protecting yourself and your investment. Buying a home can be both a highly emotional and stressful time for you. My job is to help keep you grounded and answer your questions both honestly and timely so that YOU can make the decisions that are appropriate for you. "We were extremely happy with the process and, ultimately, the results as well. We look forward to working with you in the future if the opportunity arises." "I have worked with Phil on several real estate transactions and find him to be responsive to the client and the broker. He has a very straightforward style that is necessary in dealing with the complex and often emotional business of buying and selling residential real estate. " "Thank you again for all your help with the condo. Your reassurance, guidance and sense of humor made this daunting decision much more manageable. Forever grateful. 🙂 "
"Just wanted to take the time to thank you again for everything. We couldn't be happier with how things turned with the house." "Thank you for your help with the house. But, more importantly, we both felt so at ease after your walked us through all the closing documents. As lawyers ourselves, we underestimated your role in the process, but, at its conclusion, we were so thankful to have you there." "Just a note to say thank you for all your help with the purchase of our home. We were so glad to have you in our corner because at times it seemed like you were the only thing standing between us and total disaster. We truly appreciated all of your efforts on our behalf." "We would like to thank you for handling our relocation package. Everything connected with our relocation went smoothly. ... Throughout the relocation process one person really stood out. Our Attorney, Phil Vacco, was exceptional. We would like to recommend Attorney Vacco for any future transactions that you conduct in the Chicago area. Mr. Vacco was readily available to us, stayed in contact with your office, and worked diligently to see that everything was in order. In addition to his professional demeanor, Mr. Vacco displayed superior knowledge and demonstrated great skill in handling our account. Mr. Vacco's attention to detail and ability to resolve possible problems enable us to close on our home without delay.... We highly recommend Mr. Vacco in the future." "I would like to take the opportunity to tell you what a pleasure it was working with you. I am pleased that we could bring this property to a closing. It was a joy to work with a professional such as yourself and I look forward to working with you again in the future." "I sell foreclosures a lot in the Naperville area. I recommend Phil Vacco who is out of the Plainfield [area] and is fantastic with follow up, even late into the evening." © 2018, Vacco Law. All Rights Reserved.